And What Better Way of Being Comfortable Than to Use a Pair of Lightweight Work Boots? If I learned something over the years is that the right boots won’t get you thinking about how soon you want to take them off. On the contrary, the best are those boots that are so comfortable that you don’t realize you’re using them. And, the best way to ensure you are comfortable during work is to acquire a pair of lightweight boots that won’t get you feeling that you are working with weights on your feet. On top of that, you have to be sure that those lightweight work boots are protective, you can’t just walk around with a low-quality pair of boots. Otherwise, you’ll get hurt. So.. with the mere intention of only helping you, I will show you what in my mind are the best lightweight work boots in the market, as of today. What Are The 3 Features The Best Light Weight Working Boots Must Have? The comfort you feel while working determines a whole lot of things without you actually knowing it. When you put on uncomfortable shoes, your attitude towards work steadily declines, your efficiency is low, you want to leave your work place as soon as possible. We’ve all been in that position, right? Boots should have a precise mix of materials to be lightweight so you don’t feel like you’re carrying an extra foot. They should be built with great midsoles and outsoles to make them much more shock-absorbing and really comfortable. What good is a pair of lightweight work boots if they aren’t durable? I can’t tell you how many times I would find myself dragging my feet at work to cope with the defects of a pair of low-quality boots. Mending, stitching, gluing or replacing different parts… It’s no good at all! Remember, the boots should be tailored with great quality leather and other materials which will, in turn, make the boots more durable and effective. During my working hours, I’m constantly exposed to various hazards without even knowing it. I lift heavy boxes without ever wondering what might happen if they slipped and fell on my feet, I carry rods, planks, tool boxes, heavy machinery, and yet I never wonder what could actually happen if they fell on my feet. The good news about that is, that’s exactly what boots were designed to counter. With a good pair of lightweight work boots, my precious toes and feet are completely protected from any danger. So remember, protection is essential, even for the best lightweight work boots. I mean, going lightweight does not mean you have to use low-quality boots. The following three boot’s reviews are based on a selection I made looking for more comfortable work boots. That’s why it’s filled with hiking and slip-on boots, as these types are focused on comfort. I think these boots are one of the best waterproof steel toe work boots in the market. I tested them for a long period, and the EVA midsole rested between the inner and outer soles offering cushioning and general shock absorption in every step I made, no matter the surface I tested them on. The boots had been built using mesh lining which has antimicrobial properties that reduced the possibility of any odor build up. One day, after using the boots up to 12 hours straight and after taking them off I didn’t sense any smells. Furthermore, these Timberland Mudsill boots had been manufactured using a cement construction which allowed the boots to look as new and sturdy as the first day I took them out of the box, even after 1.2 years of testing them extensively. I found that the protective elements of the Timberland Pro 40008 Mudsill Lace-up work were critical to their performance during the time I tested them in my job as a construction worker. Like most of the work boots made by Timberland, these boots have incorporated a top-quality safety steel toe that could keep my toes safe from falling objects on the construction site, which is essential for the most type of workers, do you agree? Also, and what I loved the most about these waterproof steel toe work boots, they had a slip, heat, oil, and abrasions resistant outsole that gave me the necessary traction to step in almost any type of surface I wanted to walk on. Here is a great picture of the boots.. These Redback Bobcat boots made a great impression on me, even when I just took them out of the box for the first time. I mean, they made my feet comfortable just by looking at them. Crazy, right? On top of that, they had a cushioned footbed installed to cover their full-length, which made any impact of my walking experience minimal thanks to its excellent arch support. I’m not kidding when I tell you it seemed like I was walking on a cloud. In addition, the boots had a reinforced heel that multiplied the comfort offered by the previous features. 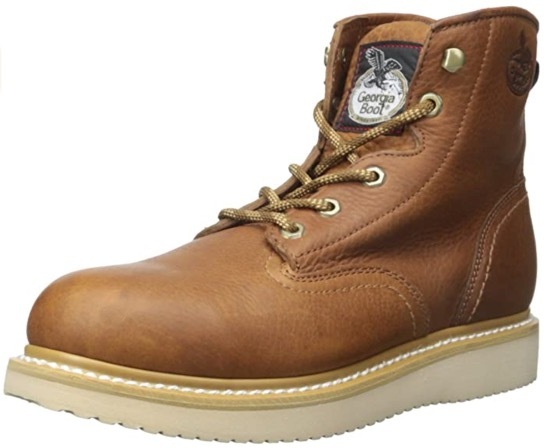 Definitely, one of the most comfortable steel toe work boots there is in the market. 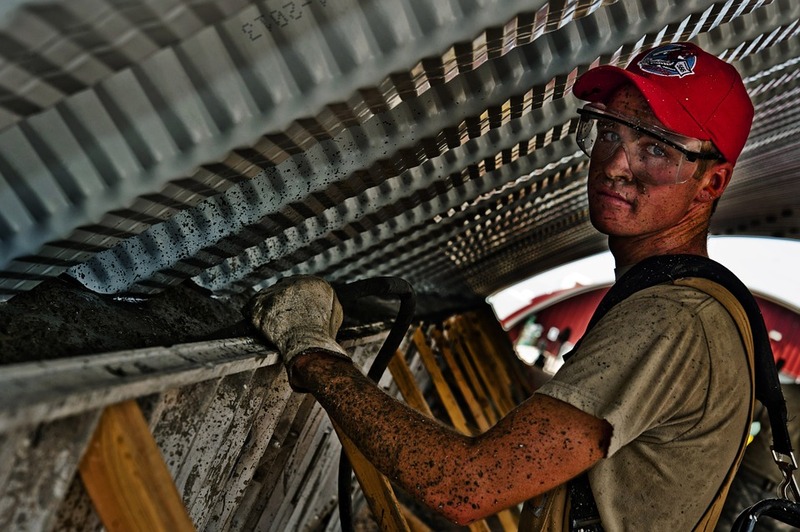 If I want something out of a work boot, apart from comfort and protection, is durability. I would hate to get a pair of steel toe boots that wouldn’t last me more than six months. I hate losing money like that. The good news is that these Redback Bobcat UBBK boots have been manufactured primarily using high-quality leather to prevent accelerated degradation. I remember holding them in my hands for the first time and not believing the thickness of the leather, it seemed like an armor! Moreover, the outsole of this work boot has been made using a special and innovative process which applies high-pressure compression. In simple terms, the outsole is abrasion and tear resistant which gave me the confidence to walk on any surface without worrying about anything. Something really important for workers likes us. Redback’s exclusive Full Grain Tannage delivers leathers which are 2.5 to 2.7 thick, a huge 30% increase in substance than normal work boots. After testing them for the first week, it became clear that these KEEN Utility Atlanta Cool boots were designed to provide extensive protection to the foot without compromising style. I mean, they looked so cool that I became to love them. In terms of durability, these boots were manufactured primarily using resilient leather which covers the upper part of the foot. On the other hand, the vulnerable front part is covered with a safety steel toe to prevent any damage. I really felt comfortable thanks to this feature in the weeks I tested them at the work site. Finally, the rubber outsole is slip and oil resistant, which is essential for any worker who is used to work on various types of surfaces that are most of the time not in the best of conditions. 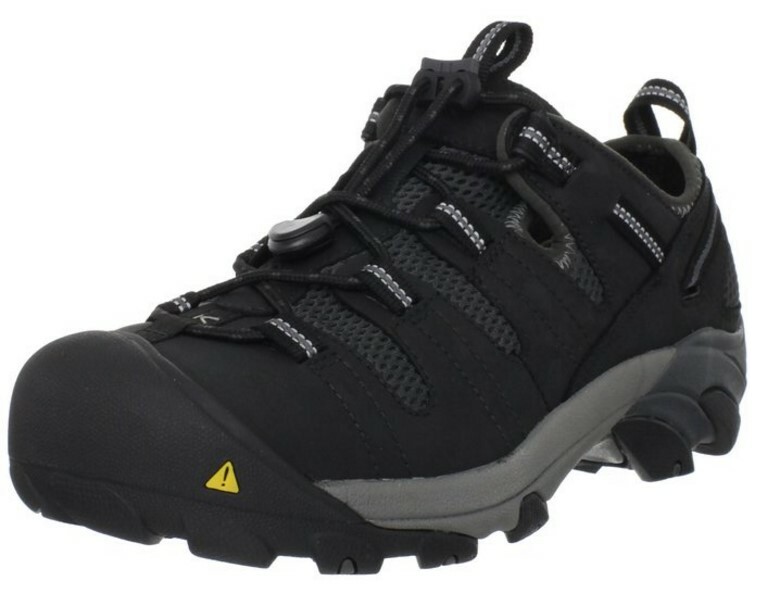 There are multiple comfort features incorporated into this KEEN Utility Men’s Atlanta Cool Work Shoe to ensure that you and I can walk and work without any type of stress. Which is something essential for me as I hate to use work boots that are uncomfortable? The structure of the footwear has an EVA midsole which provided my feet an optimal comfort and pressure relief by absorbing the impact from the ground, even after walking in different kinds of floors during my test. Furthermore, these boots have a footbed made from the same material as the EVA midsole, to provide further cushioning for anyone who needs it. I don’t know about you, but in my opinion, this feature combined with the shank that minimizes the transmission of pressure to the calves and legs makes a killing comfort combination together! Here is a cool picture of the shoes indoors..
And The Most Comfortable Lightweight Work Boot Is..
Would you like to know why I think these are the most comfortable lightweight work boots in the market? Check it out by clicking the button down below!! If I know something in life is that proper protection is critical, and the Timberland Pro Pitboss boots do a nice job in that department. No wonder is the best-selling steel toe boot on the market! As all workers know, the front part of the foot is the most vulnerable area to collision and impact. 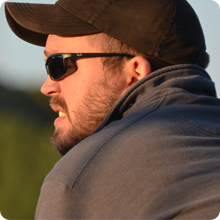 Most of the time, brands incorporate some kind of protection in that specific area. 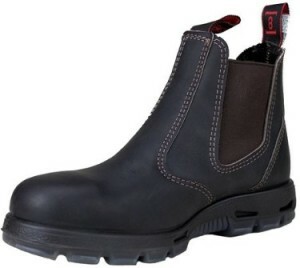 In the case of these Timberland boots, a top-quality safety steel toe was part of their design. And let me tell you that the first time I tested them it seemed like no matter how risky I wanted to get at my job, I would never get injured thanks to those safety steel toes. Finally, the boots have a rubber outsole that minimizes the risk of accidental falls on slippery or oily surfaces and also resists heat and abrasions. This feature made me feel really protected in the testing period I had with these boots, as I’m used to walking on very sketchy surfaces. These Timberland Pro Pitboss boots were designed to minimize strain on the foot while walking and working, which became increasingly obvious as my testing of the boots developed. Firstly, these boots have a midsole that provides ideal cushioning for the feet. The ethylene vinyl acetate is installed to absorb the shock from potential impacts when walking. Consequently, as I was testing the boots I only got minimal pressure on the foot, regardless of the surface. Very nice, right? Furthermore, the footbed is lined with a mesh lining which allows sweat to wick away efficiently. It also ensured that my feet could breathe conveniently when enclosed in the boot, which is essential for me as I hate it when my feet get smelly! Here is n awesome picture of the boots in the outdoors.. The Irish setter 83605 work boot is the right boot for any job. It was crafted with unique materials that would protect my feet from a variety of hazards during the period I got to test them. These boots came with an electric hazard protection, which meant that the risks of being electrocuted during the time I tested them were reduced drastically as these boots were designed to properly insulate the worker’s feet. This means that whenever you get a zap during work, the electric current would quickly flow through without causing any damage. Finally, the boots were also built with Aluminium toes that meet the ASTM F2413-11 standards. This allowed my toes to be protected from getting crushed during the months I tested them if a heavy object would have fallen to the floor, hitting my feet on its way. These Irish Setter boots are a blend of unique materials that gave me a great feeling of comfort all the time during their test. The boots had a padded collar which gave me extra comfort especially around the ankle area of my feet. On top of that, this boot was designed with the EVA midsole which gave the boots superior cushioned support and with the white Rubber-EVA Traction Tred outsole; I mean it offered better grip and comfort than most working boots I could have found in the market. 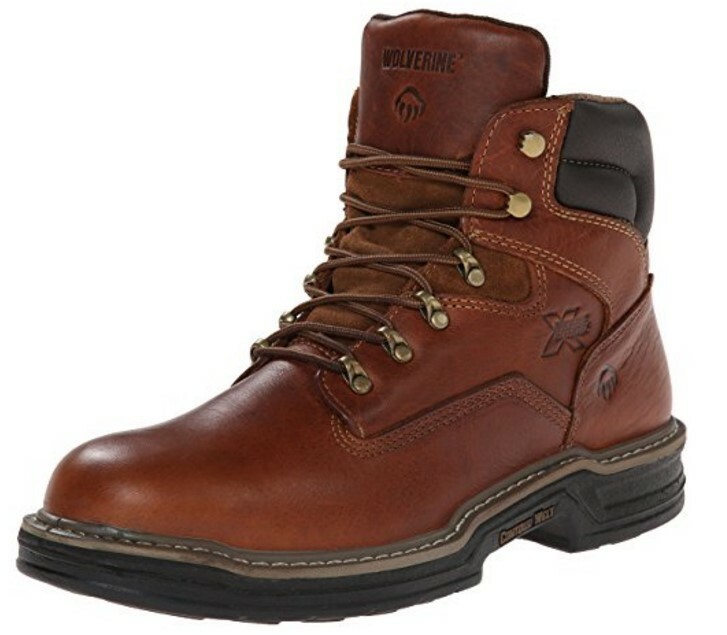 Designed with a removable full-cushion Wolverine Multishox insole that gives you comfort and support all-day, the Wolverine Men’s W02421 Raider boot is a lot more than just its name or its brilliant looks. It is designed with a grip from slip, oil and abrasion-resistant Multishox lugged rubber outsole that keeps your grip firm to the ground. I mean, this boot eliminates all risks of falling and slipping during work no matter the condition, wet, oily or any other hazardous situation. With all the great add-on’s this boot comes with, it still proves itself as an efficient and lightweight boot for your job, designed with a light weight PU midsole (a layer of material between the inner and outer soles of the boot for greater shock absorption). This Wolverine boot comes with a flexible athletic contour which makes it a lot more durable, however, also still very comfortable. Its construction moves with you, the Wolverine W02421 Raider Boot is an athletic working boot that allows you to, walk, run, bend, jump, climb or any other activity with extreme ease, this boot allows you to adapt to any working condition with ease. The boots were made with full grain leather that gave it a brilliant look and an amazing grip when I tested them for over 5 months. On top of that, the boots had an abrasion-resistant Multishox lugged rubber outsole that prevented me from falling and hurting myself when working. Here is an excellent picture of the boots..
And The Most Protective Lightweight Work Boot Is..
Would you like to know why I think these are the most protective lightweight work boots in the market? Check it out by clicking the button down below!! A lot of workers wrongly go for running shoes instead of lightweight work boots probably because they feel regular safety boots are too cumbersome and uncomfortable. However, the great issue with that is; running shoes were never designed to substitute work boots, or to be used in a work place, which makes the whole thing very dangerous in the long run. It is clear that running shoes do not protect workers from the hazards they are exposed to during their working hours. I mean, you are exposed to many dangers, so, the right man should go for the right job, always use pro work boots in your work place, no matter what.